The English is… series uses a creative approach to learning to inspire students to embrace the English language in all its variations and develop key skills in reading, understanding and creating. It includes structured inquiry into the big ideas or concepts that support English, underpinned by the skills needed for literate citizenship. • Wide variety of assessment options at the end of every unit with rubrics to guide students. 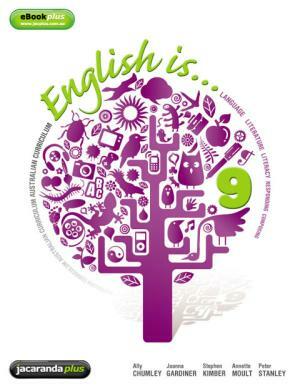 English is ... English for the Australian Curriculum Year 9 and eBookPLUS is a hard-copy of the student text accompanied by eBookPLUS.